After their daughter Maribel suffers a near-fatal accident, the Riveras leave Mexico and come to America. But upon settling at Redwood Apartments, a two-story cinderblock complex just off a highway in Delaware, they discover that Maribel's recovery-the piece of the American Dream on which they've pinned all their hopes-will not be easy. Every task seems to confront them with language, racial, and cultural obstacles. At Redwood also lives Mayor Toro, a high school sophomore whose family arrived from PanamA fifteen years ago. Mayor sees in Maribel something others do not: that beyond her lovely face, and beneath the damage she's sustained, is a gentle, funny, and wise spirit. But as the two grow closer, violence casts a shadow over all their futures in America. Publisher: New York : Knopf, 2014. The book's depiction of a new immigrant's struggle in America is very real and very eye-opening, and I appreciated that aspect. The plot seemed a little slow and boring in some places, but that didn't stop me from getting completely engrossed in this novel. Also, there were some graphic depictions of non-consensual sexual activities that could be very triggering to some. The book could've used a disclaimer or a warning of some kind, in my opinion. Holy fluff, this book just sucker punched me in the gut. Married to a first generation immigrant from Mexico. I can tell you their struggle is real. I can also tell you I've witnessed most of the "stereotypes" and they're actually true. What makes me sad for them is instead of FIXING the corruption by citizens getting involved and joining forces together, they run. Over here, to escape. Don't get me wrong, American's aren't without fault. We run too...to the suburbs to escape city violence, etc. But we (obviously) will "protest vote" to get our point across to our government. Politicians crave that office/power. We, the people, have the power to give it or take it away with our votes. I enjoyed the authors writing style, and the text was simple to read. edit: also, they did not have to leave america b/c the father got murdered...as a "victim of a crime" they could have gotten a special "U Visa"- a special expedited visa specifically for crime victims. A closeup look at an immigrant community as they deal with universal life experiences. This book avoids most of the cliches I always find in books about Latinos. The novel shows well rounded characters and the story develops through the actions of the characters instead of by some by-the-numbers plot. It is a very sad story but also a story of kindness and love. Overall, The Book of Unknown Americans is a lovely and poignant tale. The primary narratives, told through the alternating voices of Alma and Mayor, were a pleasure to read. The secondary narratives, chapters entwined with the primary ones told in many different voices, were sometimes a little too clichéd and simple, although their purpose became clear in the end. I loved the character development in this book. I loved the way the characters lives came together differently - all tied together by that apartment complex in Delaware. I wished it didn't end when/where it did, but I have recommended it dozens of times since I got past about page 10 and knew I was captivated. It helps to know some Spanish when reading this book. It is a story of immigrants anywhere in the world. Hope, confusion, clinging to culture, hoping for acceptance, only to be rejected by their own kids, who desperately want to blend in with the new world. Some of the chapters of individual point of views are a little forced to be there. It is still a good read. "There was only one word - you. It applied to all people. Everyone equal. No one higher or lower than anyone else. No one more distant or more familiar. You. They. Me. I. Us. We. There were no words that changed from feminine to masculine and back again depending on the speaker. 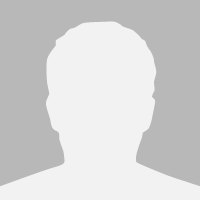 A person from New York. Not a woman from New York, not a man from New York. Simply a person." 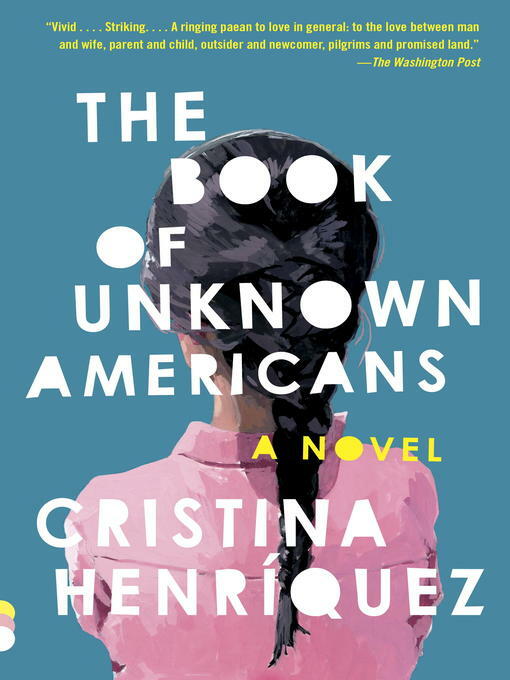 From Cristina Henriquez on tumblr (http://unknownamericans.tumblr.com/yourstory) "One of my hopes for The Book of Unknown Americans was that it might tell stories people don't usually hear. And now, another hope: that we will all tell our #UnknownAmerican stories. Where did you or your family come from? What is your life like now? We'll create a chorus and make our voices known. Or, if you’re on Tumblr, blog your unknown americans story and tag it with #unknownamericans, and we will reblog you. Any posted story will also be posted on Cristina Henriquez’s Facebook page. Please note that not all stories that are submitted will be posted. " “You can come back one day. Or I could come there." You never know what life will bring...But that's what makes it so exciting, no? That's what keeps me going. The possibility. This beautiful, simply told tale captured my heart. With all the anti-Latino rhetoric pervasive in the Republican candidates' speeches, this book tells why so many people come to America, just as our ancestors did recently or years ago from other parts of the world. The protagonists are the Rivera family members, who come from Mexico to seek rehabilitation for their teenage daughter who suffered a head injury. Their encounters with people from all over Central and South America in their apartment complex reveals the basic need of all these people to find a better life & fulfill dreams. The author doesn't try to embellish each character with complexity - and, by doing so, the characters become more complex as we get to,know them. Beautifully written - much like Hemingway in that by saying less, more is uncovered.